We had a great day today! 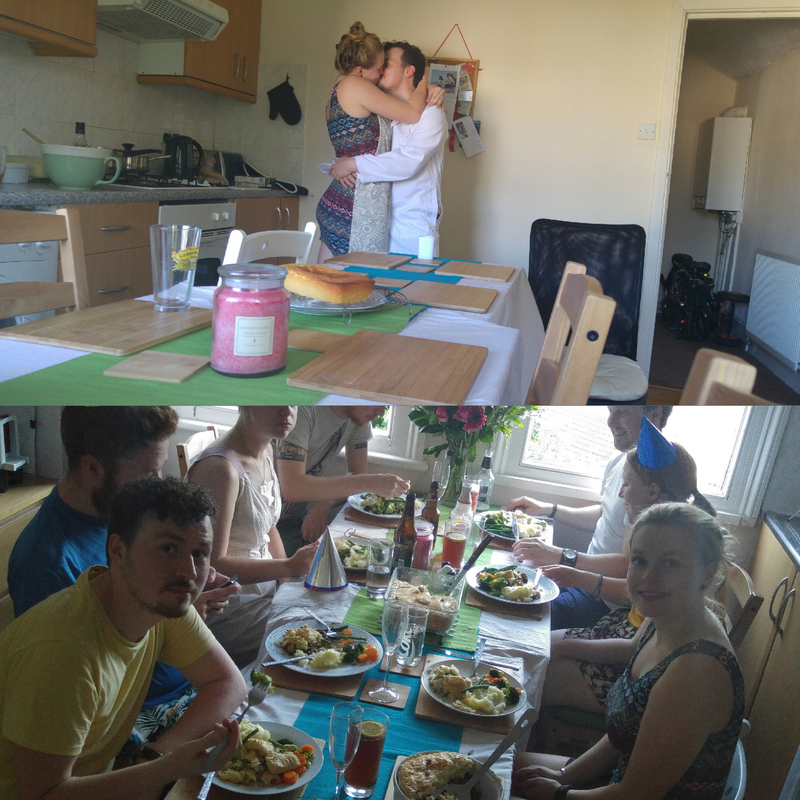 We put on a dinner party for nine people including me and Nic. It involved a lot of cooking including two pies and a massive pot of mash.. And a couple midway smooches!